European Americans founded Early County on December 15th, 1818. The platting of Blakely soon followed in 1825 as county seat for Early County. 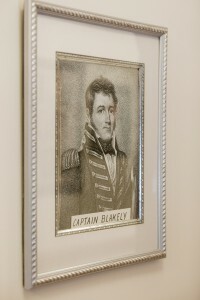 It was named for Captain Johnston Blakeley (also spelled Blakely), one of the most successful American naval officers during the Quasi-War and War of 1812 period. Blakely and Early County’s rich history is entrenched in early life along the Chattahoochee River, battles for territory and Creek Indian heritage. These history-forming subjects can be researched and enjoyed at the Kolomoki Mounds State Park and Indian Museum and the Early County Museum. The city’s population* has grown to 5,068 spread out over 17.6 square miles and is home to several community-sustaining industries, independent businesses and natural resources. To learn more about our beginnings, click Historical Notes on Early County and Blakely, Georgia. Want to Dig A Little Deeper into Your Roots? The Genealogy Society of Early County, Georgia provides information about our society to encourage the exchange of genealogical information and research techniques. Meetings are held the 3rd Thursday of each month from 5:00 pm – 7:30 pm at the Community Education Building located in the Early County Museum at 226 North Main Street. It is open to all citizens interested in tracing their family history for a yearly membership fee of $20.00. For applications and additional information, please contact Julianne at 229-724-7222.